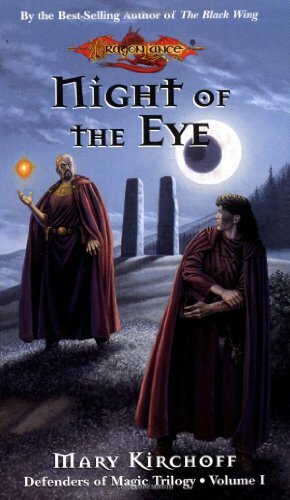 It will soon be the Night of the Eye, a rare time when all three moons align in high sanction over the lands of Krynn. On the eve of Guerrand DiThon's political marriage to a rival family, the young noble is visited by a strange, powerful mage who knows more about him than he does himself. Seduced by promises of wizardly might, Guerrand slips away beneath the triple moons and journeys for the Tower of Wayreth. No one thinks he will survive the deadly trek to the tower, but he does. It's only then that Guerrand realizes that he has made many enemies in his journey. One of these foes would not only see Guerrand dead, but the three orders of sorcery destroyed with him. Set in the Dragonlance role-playing universe and focusing on the mysterious Order of Red Robes, this series opener highlights a young man's struggle between his family's expectations and his own ambitious dreams of magic.